HMV goes on tour to 16 locations nationwide! Home Made Visible brings a personal lens to Indigenous and visible minority archives through FREE exhibitions, screenings, and workshops in libraries across Canada. The exhibition consists of six short films and a mixed media installation by our commissioned artists. See their works in person at the libraries and sign up for workshops to learn how to building on your own personal archive. Exhibition: Go to any of the libraries below, and check out all films on designated screening computers at the branch. Screening: A one time screening of the program that includes a Q&A with the Project’s filmmakers. Installation: A mixed media installation Reunion by Melisse Watson. Check out locations below for more details. In this three hour workshop participants will explore the meaning of home through free writing exercises and games. Participants are asked to bring an object that, to them, represents home. We will then create a zine with scanned photos of the objects and also tell a story about what the object and how it connects to our meaning of home. We highlight the importance of telling our own stories and making content outside the digital realm and creating our own archival material. This is a hands-on workshop and every participant will come out with a zine that they can take home. 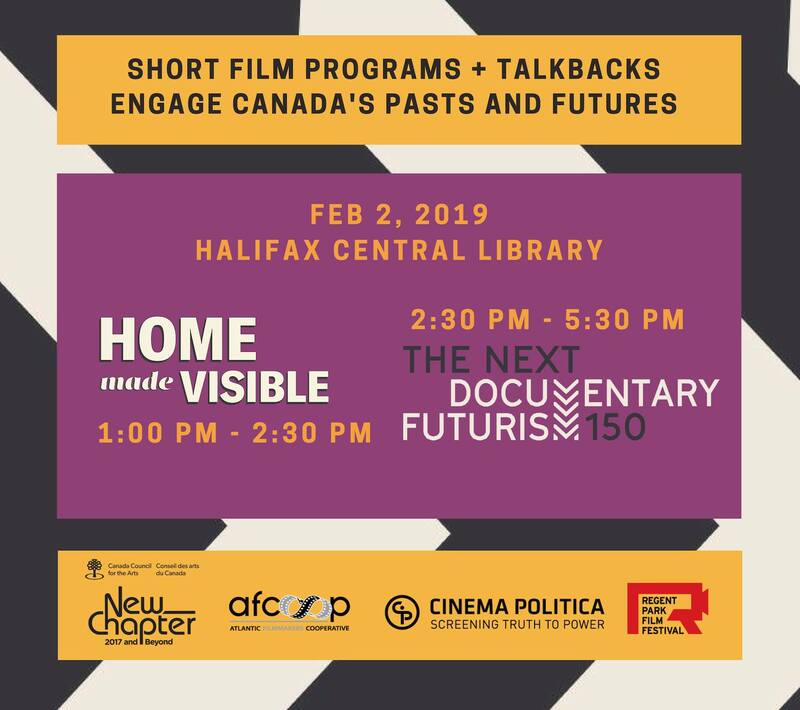 Join us for a full day of programming including a workshop and an afternoon of free short films from Regent Park Film Festival and Cinema Politica, presented in partnership with the Atlantic Filmmakers Cooperative. 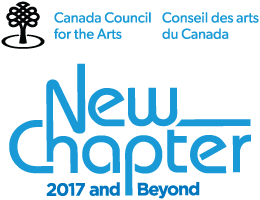 This workshop explores the history and use of oral storytelling as archive within a personal and family setting. One of the oldest ways to preserve and pass on our own histories, storytelling traditions stretch back millennia. Participants are asked to bring with them a short, oral story, either personal or familial, that they are comfortable sharing in an open circle. If the story is centered around an object such as a photograph or a letter, etc. participants are encouraged to bring the object. This workshop will be held in an open, respectful circle and participants are asked to keep that spirit in mind as they chose a story to share with others. *Note due to space limitations this is a reduced version of the installation. Registration for this workshop is open here. In this two hour workshop participants will explore the meaning of home through free writing exercises and games. Participants are asked to bring an object that, to them, represents home. We will then create a zine with scanned photos of the objects and also tell a story about what the object and how it connects to our meaning of home. This is a hands-on workshop and every participant will get the opportunity to pick up a copy of their zine after its done. All films have english captions. ASL-english available at the screening only. All Library locations are wheelchair accessible. If you have any accessibility concerns, please contact us at homemade@regentparkfilmfestival.com, or 416 599 7733, for further information about support. Sioux Lookout Public Library hours. Registration for the workshop coming soon. Go to the library to check out the installation and the commissioned films on designated computers! Skawenniio Tsi Iewennahnotahkhwa Library hours. Home Made Visible has commissioned Mackenzie Whyte, a self-taught artist to host a workshop to explore the role of storytelling in archival practices. In this multi-disciplinary workshop participants will get to create archival memories by writing and painting logo/tattoo to represent their own life experiences. Each segment of the workshop will build on unpacking the power dynamic not always apparent in storytelling and how this intersects with the narratives selected for archives. This is a hands-on workshop and every participant will go home with new archival objects. In this workshop, participants will explore archiving family histories through interpersonal storytelling. They will learn the skills necessary to conduct an interview with their family or friends as well as documentation techniques. Ever wondered what kind of questions to ask when interviewing? How to effectively frame a question to receive the best answer? How to create a comfortable interview environment? Learn by practicing! Participants will be paired up for filmed interviews, and will leave with skills and a personal recordings, giving them an opportunity to start their own family archive. If you have any accessibility concerns, please contact us at homemade@regentparkfilmfestival.com or 416 599 7733, for further information about support. All films are ONLY available with english captions. A theatrical screening of all of six short films our commissioned films, with a discussion following the program with Project organizers Ananya Ohri and Elizabeth Mudenyo, and filmmakers Aeyliya Husain and Maya Bastian. Registration opening soon. 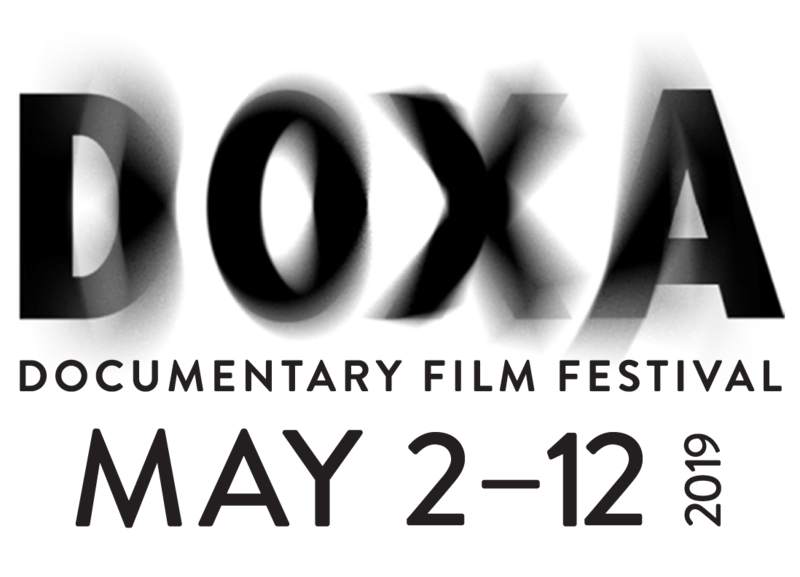 Interested in exploring documentary film creation and not sure where to begin? Local documentary filmmakers, Derek Kwan and Joella Cabalu, present a hands-on workshop on the foundations of storytelling and relationship-building skills needed to tell and create personal stories through the documentary format. Kwan and Cabalu will present their own work which touches on family histories, culture, and immigration, as well as share their experiences in developing stories, incorporating archival videos and photographs, and building trust within different communities. The library locations are wheelchair accessible. ‘Making Home’ is a two-hour creative writing workshop based on the Amherst Writers & Artists (AWA) Method developed by Pat Schneider. It is designed to allow for safe creative expression and to reinforce the unique voice and self-esteem of the writer. Throughout the workshop, participants will explore their stories of home, celebrating what makes them feel at home, and envisioning what home looks like to them, real or imagined. Participants will create a suite of creative writing pieces through a process of timed writing exercises, sharing, giving positive feedback, and art-making using homemade poetry prompt templates, visual art, and collage materials. ASL interpretation is available for this event.